Point of departure for Tandbergs works is a play with representations of the "self". In her early works the focus was on gender and identity through social, political and psychological issues. 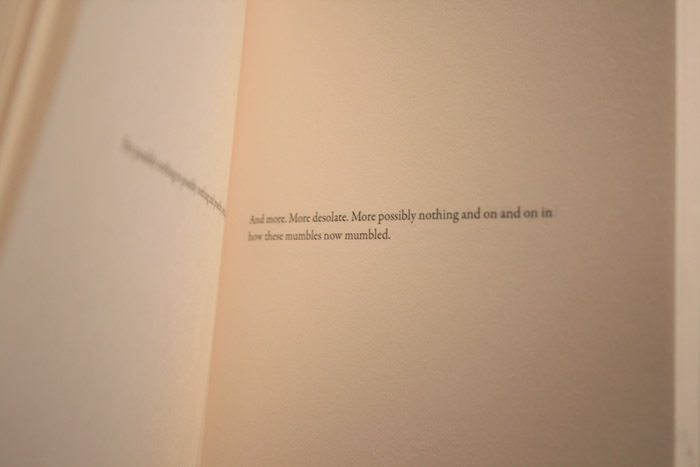 In recent years her work has turned towards investigation of representations of subjectivity through the use of text. 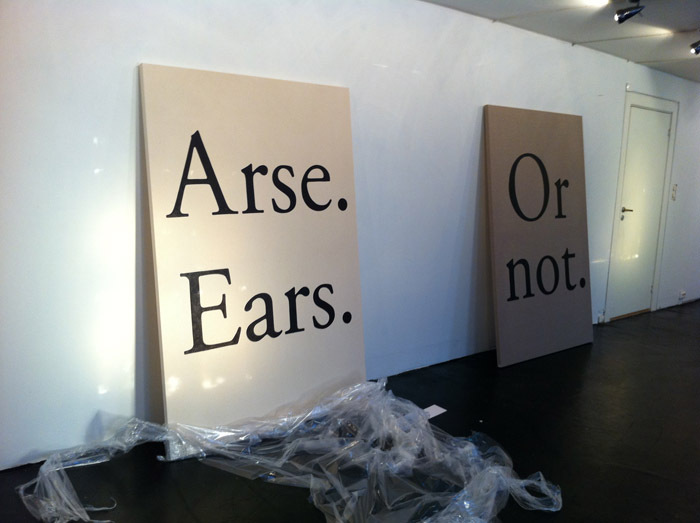 On show at NoPlace there will be a book launch and new paintings. 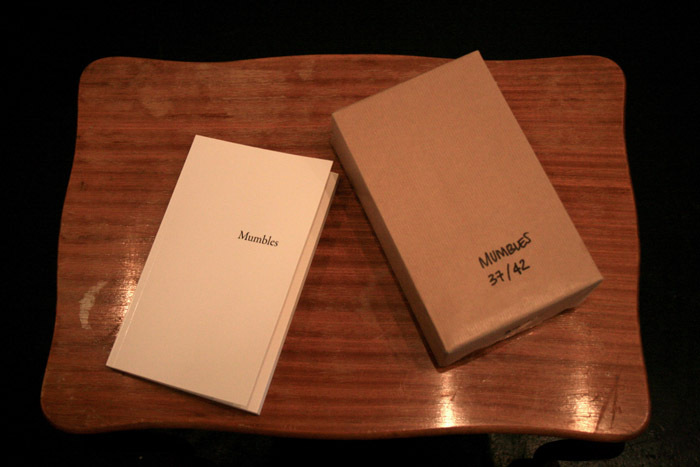 Tandbergs latest work is a text titled Mumbles published by Onestar press in Paris August 2011 in a limited and numbered edition of 250. Mumbles is a monologue by an unidentified subject apparently disconnected from its voice. The voice is a mumble trying to identify itself and its origin not knowing when it started and realizing that it perhaps will go on forever. The text can be read as an example on how language constitutes consiousness, even if the consious subject in Mumbles is unable to verbally localize a physical body or a mental "self" and thus incapable of understanding anything outside language itself. 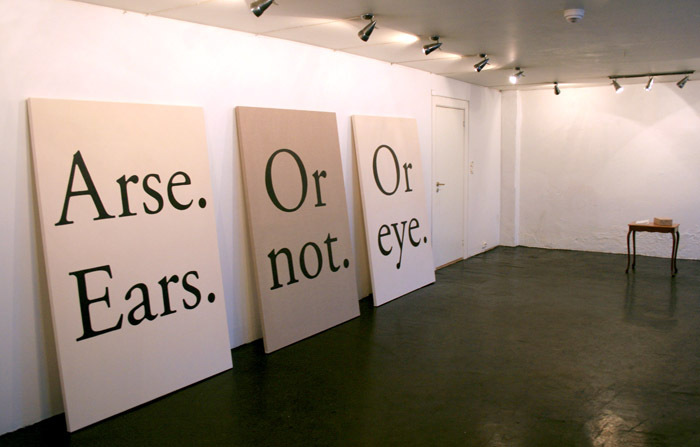 The paintings form short sentences often not more than two words. 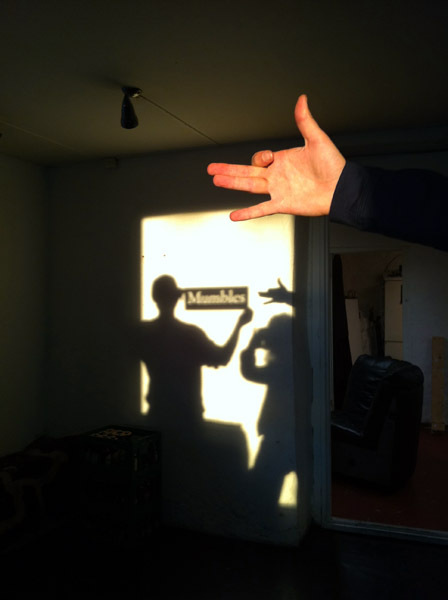 The painted words work both as text and image and play on these two different ways of perception. The textual content is (as with Mumbles) how self realization is dependent and formed by language.